Uni-Cor process bonds the jacket to the core one molecule at a time, virtually eliminating core-jacket separations. Jacket thickness, cavity shape and depth and nose profile are set for maximum performance at the intended velocities. Jacket wraps into the cavity to produce a smoothly finished edge for reliable feeding. 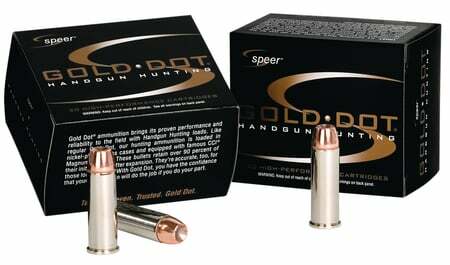 Primed with CCI primers and the premium brass cartridge cases are nickel-plated.